It’s always exciting when a new book comes out. All that work; all the hours spent writing, editing, planning, worrying, and perfecting your story, can finally be seen to have come together in one gorgeous finished product. This is one of the reasons it is so exciting for an author to have a paperback publication. It’s great to have a new Kindle book out- but you do miss out to an extent when you can’t actually weigh the finished object in your hands. 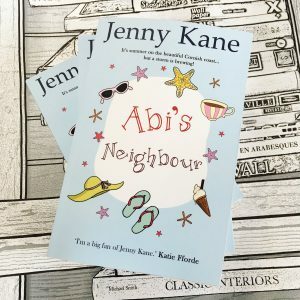 I’m pleased to report that Abi’s Neighbour not only looks great, but it feels good and has that wonderful ‘new book’ aroma. Just look at these beauties – I’m over the moon. I also am very aware of how lucky I am to have them! 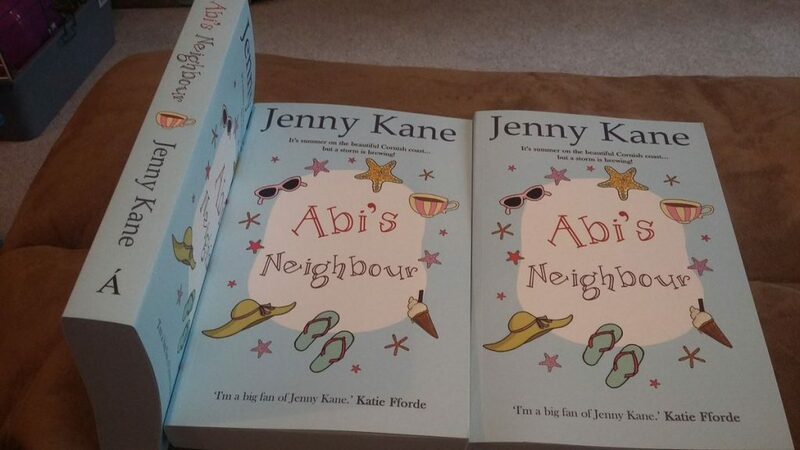 Not only will Abi’s Neighbour be going into book shops as well as being available online, but I’m privileged to have an endorsement by the brilliant romance writer, Katie Fforde, on the front cover. It’s like all my Christmas’s have come at once! Abi Carter has finally found happiness. Living in her perfect tin miner’s cottage, she has good friends and a gorgeous boyfriend, Max. Life is good. But all that’s about to change when a new neighbour moves in next door. Cassandra Henley-Pinkerton represents everything Abi thought she’d escaped when she left London. Obnoxious and stuck-up, Cassandra hates living in Cornwall. Worst of all, it looks like she has her sights set on Max. But Cassandra has problems of her own. Not only is her wealthy married lawyer putting off joining her in their Cornish love nest, but now someone seems intent on sabotaging her business. Will Cassandra mellow enough to turn to Abi for help – or are they destined never to get along? I’ll pop off now to try and calm down – or by launch day tomorrow I’ll be too over-excited to celebrate! !